This may not be the perfect summer for a road trip. But if you're one of the many Americans still willing to brave the traffic, unending choruses of "Are we there yet?," and record-breaking gas prices we have some handy GPS devices to help you on your road cruise. This may not be the perfect summer for a road trip. But if you’re one of the many Americans still willing to brave the traffic, unending choruses of “Are we there yet?,” and record-breaking gas prices we have some handy GPS devices to help you on your road cruise. 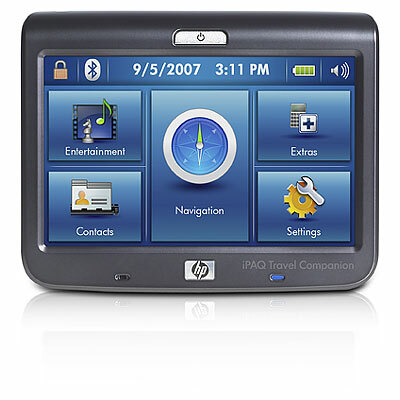 The HP iPaq 310 Travel Companion is packed with so many tools and fun toys, you might never want to leave the road. In addition to GPS functionality, the Companion lets you create an itinerary, plan well-needed restaurant (and rest) stops, and take along your music and videos (via an SD card slot), and play pre-installed games. 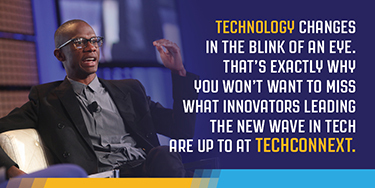 The Companion features an easy-to-use interface and a 4.3-inch color TFT with antiglare 800 x 480 pixel touch screen for easy navigation. The adjustable backlight meant that the screen remained beautifully clear, even in broad daylight sun. Running on Windows CE 5.0, with 128MB of SD RAM and 2GB flash memory, the Companion renders buildings in 3D, which is helpful when navigating unfamiliar city areas (plus, it’s just plain cool). It also has an online trip-planning feature. You can plan your trip via your PC, plotting stops and detours, share it with friends and family, then download it onto the Companion and go. We tested the device in a small Virginia town (or, as the locals call it, a “seven-minute town”) and got accurate directions from simple points A to B. However, we did run into problems when we plotted a route from one friend’s home to another’s in a one-year-old housing development: when we missed the turn, the Companion instructed us to turn around, rather than recalculate an alternative route, which was available. The continual “turn around” was annoying. Further, upon arriving at our destination, and parking, the Companion insisted that we still had another 400 feet or so to go. The device connected to our Bluetooth-enabled phone (Blackberry Pearl on T-Mobile EDGE network) and worked well, given the EDGE’s speed issues. While the multimedia features were OK, they weren’t great, and the voice directions were a bit unclear (think loud whisper rather than strident directives). Overall, the iPaq 310 Travel Companion is a good choice for the family group, but the $449 price tag is hefty if you’re being budget-conscious. Key features: Super-sharp screen, 3-D navigation, friendly user interface. 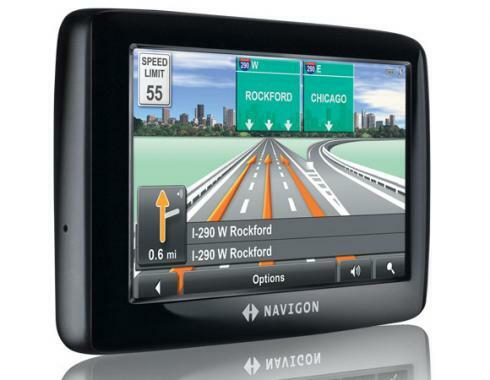 “Sleek” might be the most overused word in the tech-reviewer’s lexicon, but frankly, it fits Navigon’s 2100 Max to a T. The device has a 4.3-inch touch screen, giving you 2-D and photorealistic 3-D navigation images. On the road, you get verbal and visual notification when you exceed the speed limit, and with its Reality View feature, you get clear road sign text.